What about visibility? 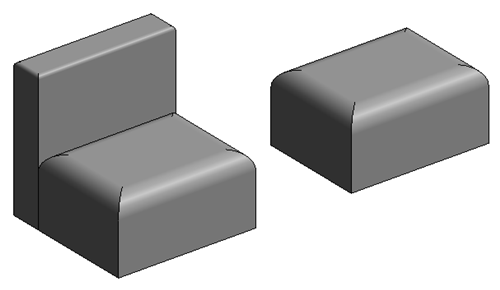 For example, you want to have a sofa with the back but also sofa without a back. Do we have to create two families? No, you can have one family and create two different types. (Confused about family types? Read this reference: Create Family Types. We are going to create two family types like below. You can use your own family, or download the file here. 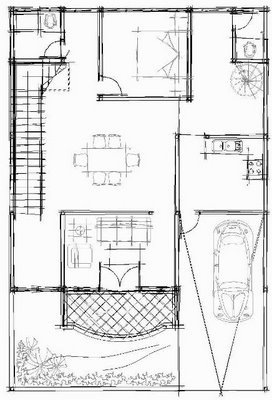 This family was built with Revit 2018. If you use an older version then you need to use your own file. Select the sofa back (1). Then click the button on the right side of the Visible parameter. 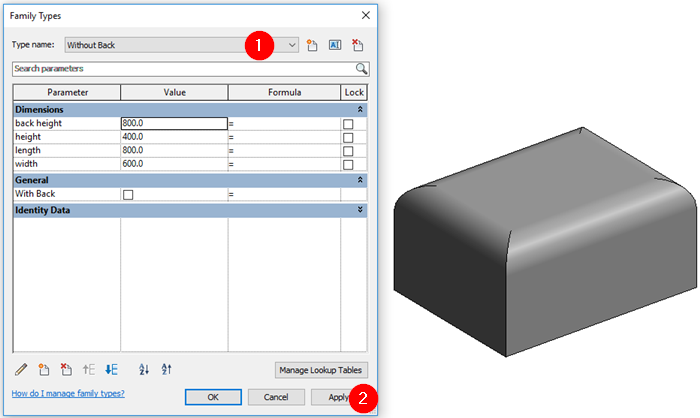 To enable you controlling the visibility using a parameter, you need to link this property to a parameter. We don’t have a parameter yet, so we need to create one. Click New Parameter button. Parameter Type is Family Parameter. The parameter is a Type parameter. 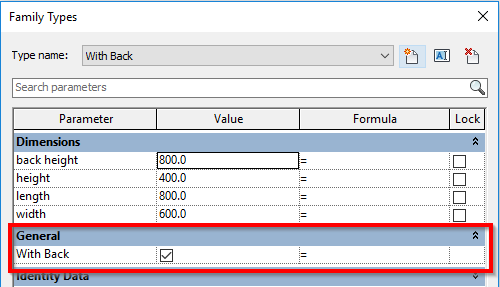 Optional: Change the group parameter to under General group. 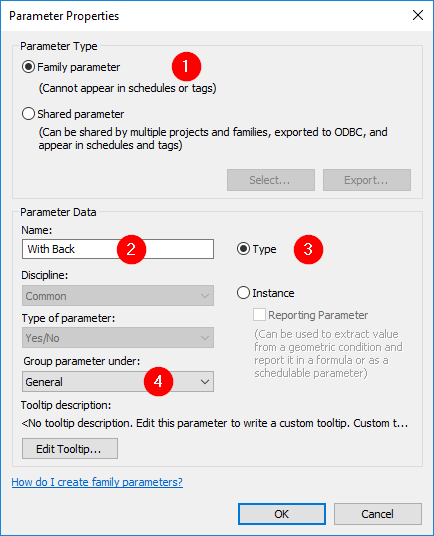 Click OK to close Parameter Properties dialog. 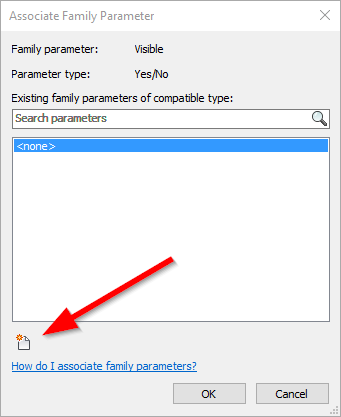 Click OK again to close Associate Family Parameter dialog. The last step is to create the Family Type. Click the Family Types button. In the Family Type dialog, click New Type. 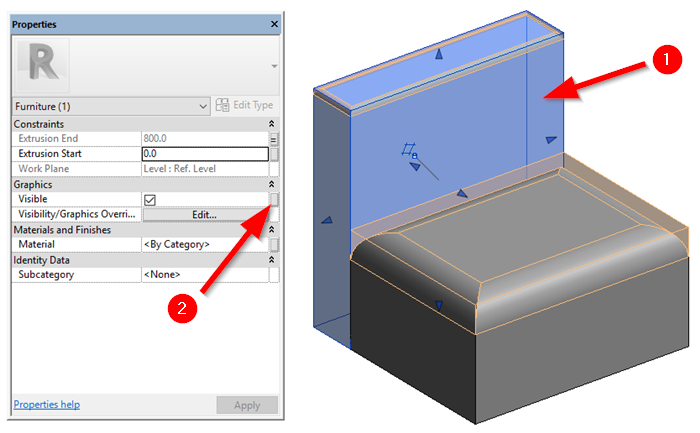 Revit asks for the type name. 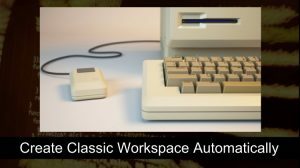 Type With Back and click OK.
Make sure the With Back option is checked. Make sure the option is unchecked. In Family Types dialog, change the type then click Apply. You should see the sofa back disappear. If you don’t see the visibility changes, check the view settings. Make sure Preview Visibility is On. Try to load it to a project and try to place different types in your project. You can use parameters to control element visibility in your family. This control allows you to create fewer families. Personally, I hate to have multiple families when I can have only one. It means when we need to update or modify the family, we only need to do it once. In what kind of family do you think you can use this visibility parameter? Share with us!